It is our annual day off. 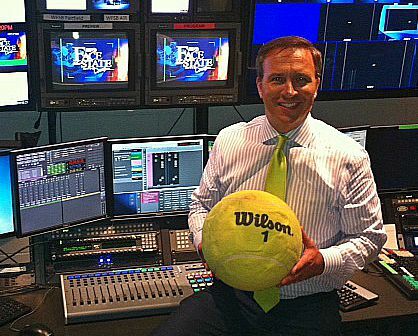 Face the State is getting bumped this Sunday by CBS coverage of U.S. Open Tennis. We’ll be returning to our regular schedule next Sunday, September 7th. This fall we have the governor’s race, five congressional races and several state races this campaign season. We also have plenty of material in the Channel 3 archives for our Face the State flashback segments. Let me know who or what you’d like to see on Face the State in the coming year. How cable TV public access is doing in CT where it started nearly 4 decades ago?